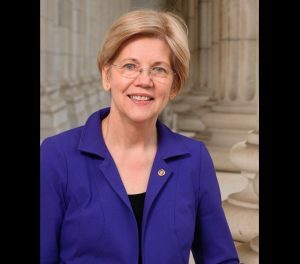 enator Elizabeth Warren (D-Mass.) would do well to embrace our early American hero Pocahontas. She might even thank Donald Trump for making the link. With his signature sneering, leering sexism and racism, Trump refers to the Massachusetts senator with the name of this real-life historic figure as if it were a put-down. But Pocahontas is a true American icon. Unlike Trump, she was greatly loved by her people, and her character was impeccable. She was deeply admired in England, where she travelled with her husband and young son and then tragically passed away, having barely turned twenty. Throughout her career, Senator Warren has referred to her lineage as including traces of both Cherokee and Delaware tribal heritage. It seems to be family lore for which she has no firm documentation. There’s no indication Senator Warren has benefitted from the possibility she may be part indigenous. Given her legendary serious demeanor, it’s extremely unlikely she made it up. But with characteristic ugliness, the Republicans have turned it into a slur. In fact, Pocahontas was born with the name Matoaka, probably around 1596. She was the much-loved daughter of the powerful chieftain Powhatan, whose tribe occupied the tidewater region of present-day Virginia. In 1607, as the first white settlers arrived at Jamestown, Pocahontas may have saved the life of the English adventurer John Smith. Allegedly Pocahontas’s father meant to put him to death. Legend has it Pocahontas saved Smith by stopping the execution. It’s also rumored she may have saved another white man as well. The stories are shrouded in mystery, and there’s much about them that makes little sense. Smith was a polarizing character. It would have been very much in character for him to have alienated the Virginia chieftain, but the two men needed each other. Smith included the story of Pocahontas’s alleged intervention in memoirs that were relentlessly self-serving and doubted by some historians. Whatever the case, the story has stuck throughout history and is revered as one of the first instances of a positive human connection between the indigenous Americans and invading Europeans. There is no indication from Smith or any other contemporary that he and Pocahontas might have been lovers. She would have been about eleven years old when she allegedly saved him. He was probably pushing forty. The anatomically impossible characters in the Disney film are very far from credible. In 1613, the teenaged Pocahontas was kidnapped by English settlers. While in captivity she converted to Christianity, then married a tobacco farmer named John Rolfe. The circumstances were complex, though most accounts indicate the two were in love. Their marriage prompted a “Peace of Pocahontas” between the colonists and the local tribes that lasted until her father died about a year after she did. In 1615 Pocahontas and John Rolfe had a son they named Thomas. The following year Rolfe took the family to London, where they met the king and were welcomed at various social gatherings. She also met Smith again in what he described as a complex and not entirely loving encounter. In March, 1617, the Rolfe family embarked for Virginia. Pocahontas took sick and died at Gravesend, on the Thames. Some of the natives on board the ship believed she was poisoned. There have been attempts to bring her body home, but the exact location of her gravesite at Gravesend has allegedly been lost. Young Thomas returned to America. His descendants include First Lady Edith Wilson (married to Woodrow, also born in Virginia), the astronomer Percival Lowell and the actor Glenn Strange. It’s widely asserted that Nancy Reagan was also descended from Pocahontas, although the evidence is sketchy. Pocahontas is the first indigenous female to be honored on a US postage stamp. She was revered on both sides of the Atlantic as a gentle, courageous woman of good character whose marriage helped inaugurate a rare time of peace between whites and natives. The armload of articles, books, and movies about her always exude the welcome image of a great heart. Next time Donald Trump refers to Senator Warren as “Pocahontas,” she’d do well to proudly embrace the name and honor the real-life woman who made it famous. Perhaps she could propose a special commemoration to the Senate — if they let her speak. 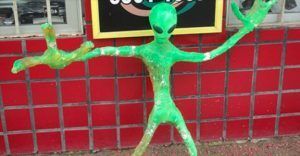 3 Million “Alien Voters”: Figment of DT’s Imagination? 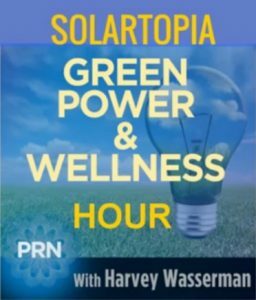 My guest today is Harvey Wasserman, author, teacher, environmental and election activist. He just co-authored a piece with Bob Fitrakis: Trump’s Big Lie About 3 Million “Alien Voters” Cuts Far Deeper Than You Think 2.6.2017. Joan Brunwasser: Welcome back to OpEdNews, Harvey. We last spoke several weeks before this election. And, I thought we were initially glad that DT shined a spotlight on the dysfunctional apparatus that powers our elections. Apparently, that’s not the case. Why not? Harvey Wasserman: He was the wolf crying wolf. He yelled about a rigged election while himself rigging it. Joan Brunwasser: You’re going to have to flesh out that very provocative statement for us, Harvey. Are you referring to the Russian involvement? Harvey Wasserman: By yelling about three million alleged alien voters, which as everyone knows is an utter falsehood, he distracted from the fact that millions of primarily black, Hispanic, Asian-American, Muslim and other non-millionaire citizens were denied the right to vote in this election. This is the Big Lie at work: as the Nazis knew, if you tell one long enough, people start to believe it. I’m glad much of the media has persistently referred to it as a false claim. It’s important they do that. But his people are persistently making the claim and it’s very dangerous. It masks the fact that millions were in fact DISENFRANCHISED from voting in this election, as shown by Greg Palast’s BEST DEMOCRACY MONEY CAN BUY and others. It’s also important to remember that Clinton won the five key swing states of Florida, North Carolina, Pennsylvania, Michigan and Wisconsin in the exit polls but not the official vote count, a sure sign of electronic manipulation. And then, Jill Stein and the Greens were throughout abused during the recounts, with no help from the Democrats. So, this was a fascist stolen election and Trump’s screams are a brilliant smokescreen. Joan Brunwasser: Trump being capable of executing such a “brilliant smokescreen” may be a stretch for many voters who view him as irrational and narcissistic, at best. Our readers might not be familiar with the voter suppression that was carried out throughout the country. Ohio, where you and your colleague and co-author, Bob Fitrakis, live, was particularly hard hit. What can you tell us? How does voter suppression happen, especially on such a large scale? Harvey Wasserman: Trump’s rantings may or may not have to do with covering up Russian involvement. We don’t know if the Russians hacked the electronic voting machines or the poll books. It’s possible. But the real hacking is homegrown. There are 30 GOP Secretaries of State who used the CrossCheck program to strip hundreds of thousands of black, hispanic, Asian-American,Muslim and other non-millionaires from the voter rolls. So when Trump bleats about three million “alien” voters what’s he’s covering up is the millions of AMERICAN voters who were stripped from the rolls. Joan Brunwasser: Why is no one having a total hissy fit about this? This is pretty darn serious. Where was Clinton? Where’s the press? Harvey Wasserman: Clinton and the corporate Dems may be hushed because what Trump did to them, they did to Bernie. Bernie was the rightful winner of the primaries. The Superdelegates played the role of the Electoral College. The [corporate] Dems don’t want to give up the ability to steal elections themselves, especially primaries. They clearly prefer having Trump in the White House to having Bernie there. Joan Brunwasser: Two questions here: Is this just a case of sour grapes because Bernie didn’t get the nomination? And how can you say that the corporate Dems would prefer Trump to Bernie? Harvey Wasserman: Well, however it happened, the grapes are sour indeed. Our studies show Bernie was the rightful winner. (For a full discussion, see our book THE STRIP & FLIP SELECTION OF 2016 via www.freepress.org; a full summary will appear in our upcoming THE STRIP & FLIP DISASTER OF AMERICA’S STOLEN ELECTIONS.) There’s no doubt the leadership of the DNC conspired to prevent him from getting the nomination. There was stripping of voters in both CA and NY, and indications of electronic flipping as well. And they used the Super delegates like a form of the Electoral College at its worst. Did they prefer Trump to Bernie in the White House? There are many ways to speculate on different outcomes in this election. But one fairly obvious conclusion is that if Hillary had taken Bernie as her VP, which seems the obvious and gracious thing to have done, she would have won. The army of grassroots activists would have been there, as with Obama in 2008 and 2012, to make sure this lunatic did not get into the White House. So you tell me”.why didn’t she do it? And where has she gone now? Hillary has virtually disappeared since the day after the election. Just like Gore and Kerry after they won their elections and then said nothing about election theft or the EC. It’s as if they never existed, and here we are stuck with the catastrophic aftermath. There’s got to be a better way. Joan Brunwasser: Before we discuss our options, you didn’t answer the age-old question, where is the press? 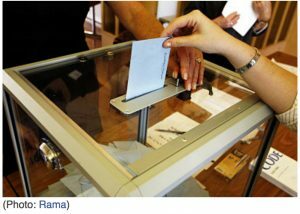 Harvey Wasserman: The media can’t seem to handle the idea that our elections are a total sham. There was some coverage of disenfranchisement leading up to the 2016 election. But not much. And no follow through. The reality that our voting machines are totally rigged is simply “conspiracy theory” in their eyes. And they are unwilling to make the slightest effort to research the realities. Joan Brunwasser: Sadly, you appear to be right. Which brings us to possible paths of action. I read something encouraging from the Jill Stein camp regarding their lawsuit in Pennsylvania. Would you care to discuss that for a moment? Harvey Wasserman: What Jill Stein’s brave campaign made clear is that the electoral system is completely corrupted and impenetrable. Even in a state like Pennsylvania, which has a Democratic governor. Nationwide, our elections are simply a bad joke. They need to be reformed from top to bottom, with universal automatic voter registration, a four-day holiday for voting, ample places to vote, hand-counted paper ballots, automatic recounts at no charge to candidates and abolition of gerrymandering, the Electoral College and corporate money in campaigns. It’s a simple, clear agenda but a monumental task to win. On the other hand, without it, we have nothing resembling a democracy. Joan Brunwasser: Do you want to talk about Jill Stein’s lawsuit? Harvey Wasserman: Over the coming months and years, you can expect to see numerous lawsuits by many democracy advocates. There will be referenda and other campaigns to fix this problem. The corruption of this system is deeply embedded in our body politic, but so was the British empire, slavery, legal segregation, the war in Vietnam and much more. I also expect to see the rapid shutdown of all nuclear power plants, hopefully before the next one explodes, and the conversion of our civilization (if it can be called that) to 100% renewable energy. So let’s just remember our great activist history and honor it and get the job done,. I think everyone who intends to go to a march or rally in the Trump Era should knock on ten doors before they do. Then, we will win!! !